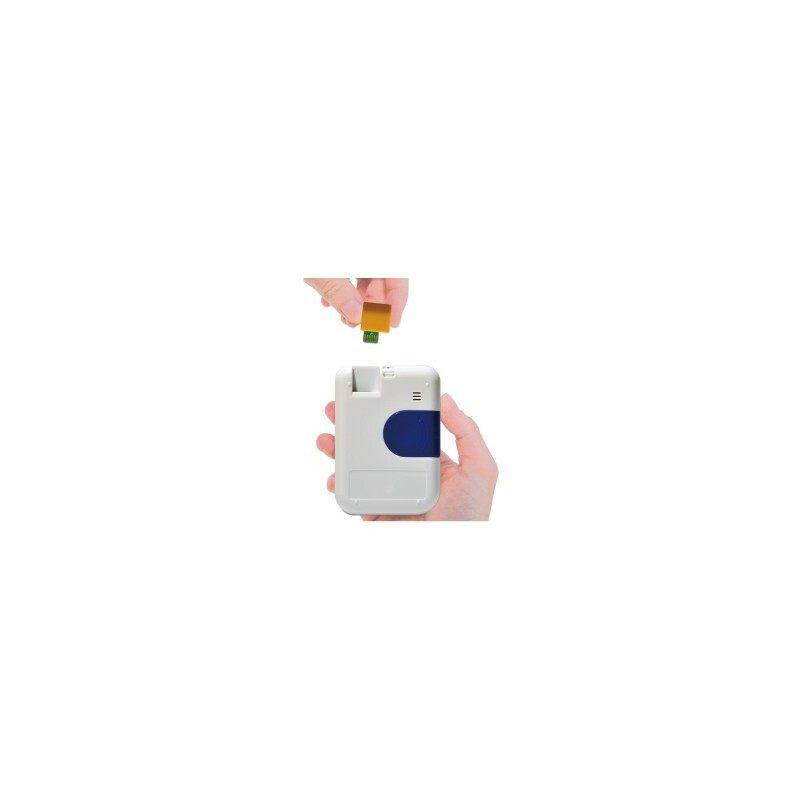 Quick , Easy to use and Accurate 3 in 1 - Cholesterol, Glucose and Uric acid testing device. Comes with an amazing 3 year warranty and offers unbeatable low cost tests ! 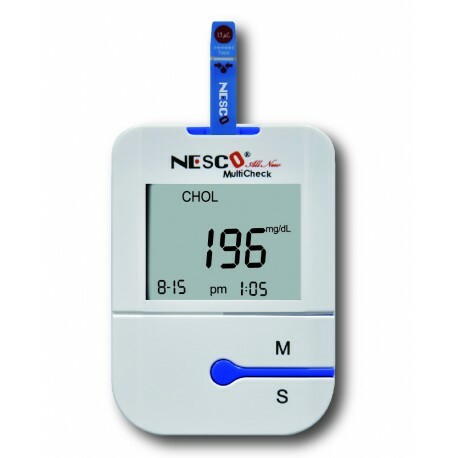 The Nesco MultiCheck uses the popular electrochemical testing process, automatically collects a tiny amount of blood (by capillary action) whilst providing accurate and consistent results. 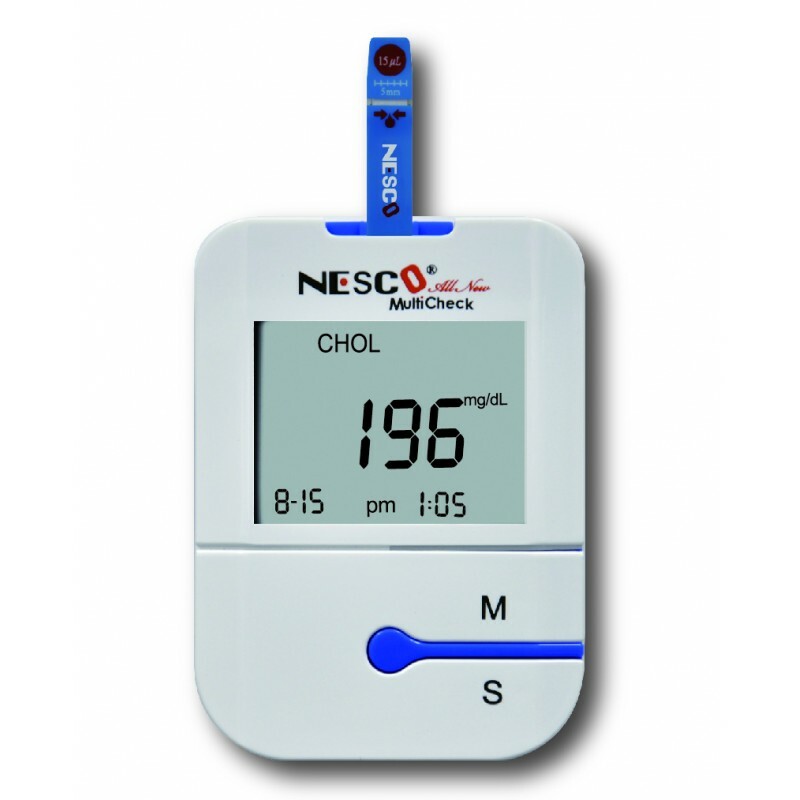 Nesco MultiCheck User Guide from Fitech Global on Vimeo.